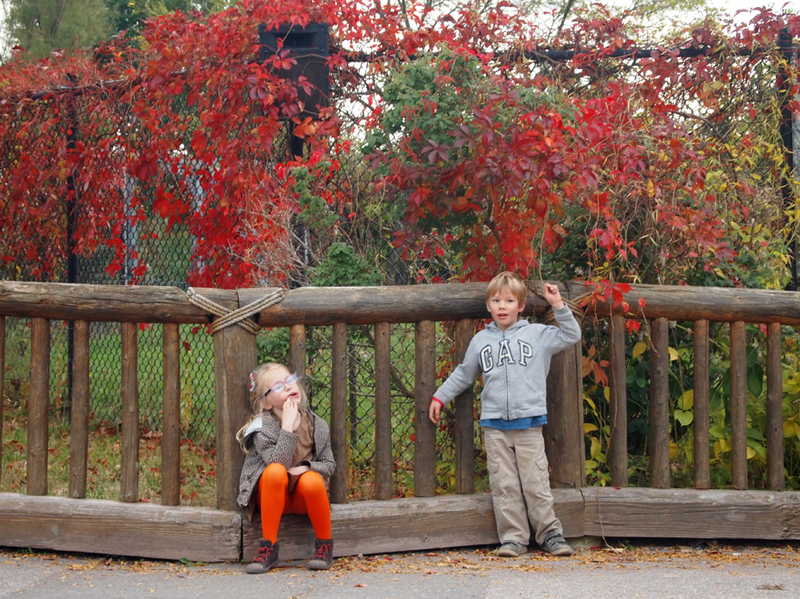 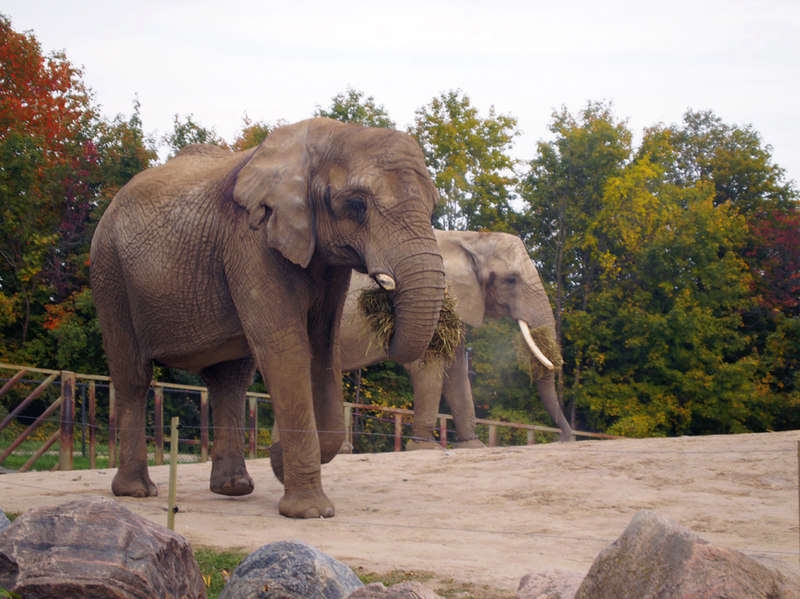 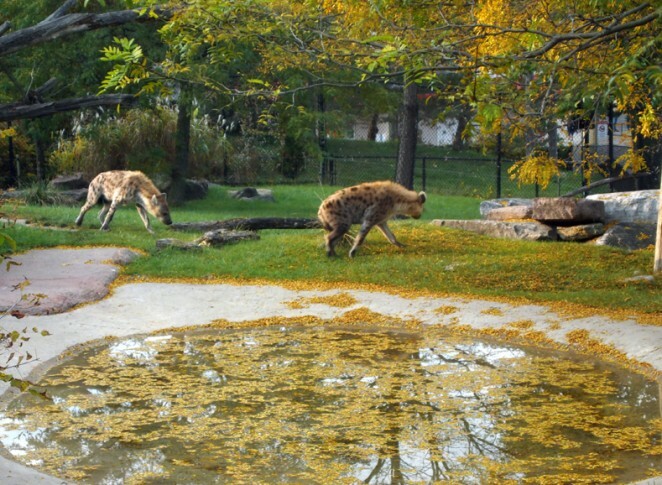 What a perfect fall day for a visit to the Toronto zoo; 30C, sunny and autumn colors everywhere. 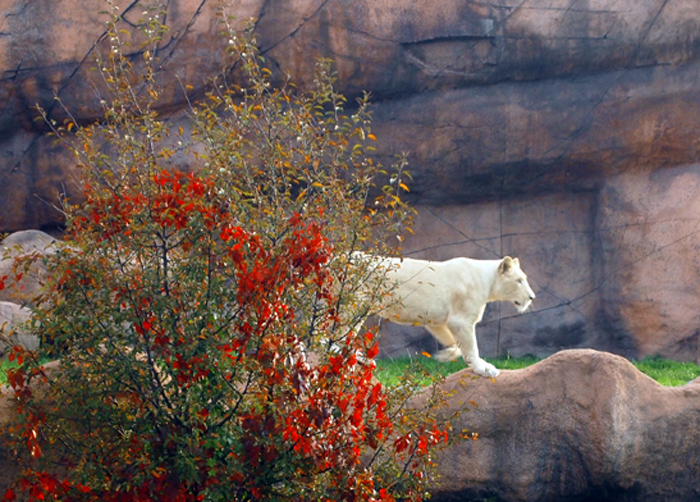 My favorite was the unfamiliar sight of african animals amongst fall foliage. 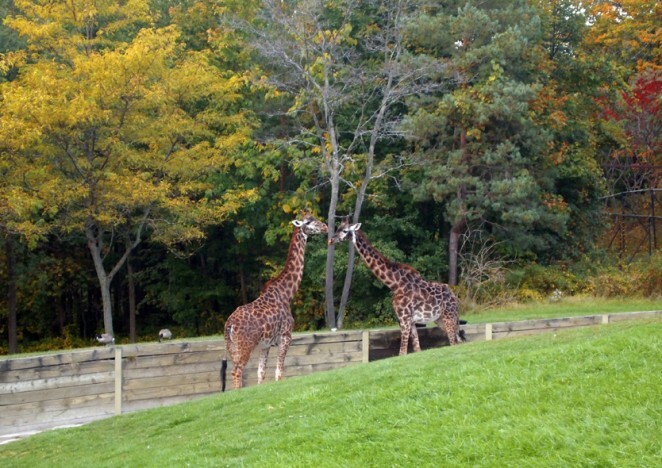 Where else can you see giraffes munching amongst ochre maples, and unique, rare white lions which have not been seen in the wild in over 15 years, pacing past blood red trees. © 2011 Elzbieta Krawecka - All rights reserved.